I’m a big fan of “I Love Lucy.” I watch it almost every day, and regardless of whether I’m having a good day or a bad day, it always lifts my spirits. I have wonderful memories of watching this show and of how it became part of my family’s life, too. My youngest daughter, Aubrey, has grown to love it as well. It’s something we share, and I love that. 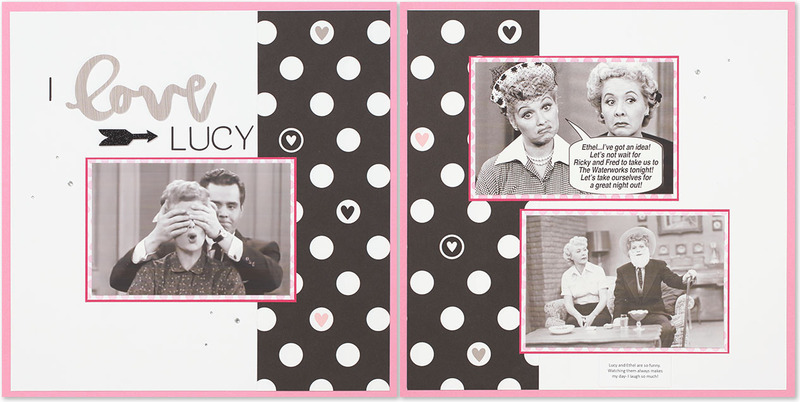 Today is National “I Love Lucy” Day, so I thought it would be a great time to share about how this television show is a part of my life, and how even trivial things like the TV shows we watch can become cherished memories. We often think about scrapbooking as a way to document important life events: births, graduations, weddings, holidays, and so on. These are the natural moments and milestones to scrapbook, especially for beginners who need a place to start. However, it’s important to remember that scrapbooking is so much more than documenting a series of events: It’s about creating a personal record, so when your children and their children look through your albums, they get to know what you were like—your personality, your habits, your likes and dislikes, and your stories. That’s why I especially love scrapbooking as a form of memory keeping. Even the beautiful artwork you create is a reflection of who you are! You’re unique, and so are the ways you choose to document your stories with paper and ink. 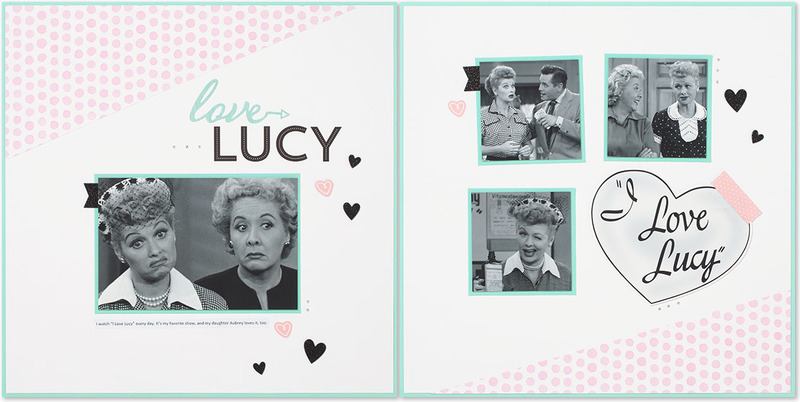 “I Love Lucy” is a part of who I am, and I want my children and their children to think of me each time they come across an episode. So how about you? What TV shows, books, or other forms of entertainment are a part of your life to the point that telling your story would be incomplete without them? Write those things down and consider adding them to your scrapbooks! Then take it another step further and try writing down a list of other objects, routines, likes, dislikes, and stories that are a part of who you are. Start documenting these things in your scrapbooks to preserve your memory. I know this will bring you and future generations so much happiness. P.S. I’ve love to see your list, the photos you take, and your scrapbook pages. Share them on social media by using the hashtag #memorykeepingmatters.